We don’t know about you, but we’re certainly enjoying that the days are becoming ever shorter. We’re still plugging along with farm work and are happy to have half the strawberries planted. We’re hoping to plant the remaining strawberries today, that is, if we don’t have last minute reservations for the Swallow’s Nest Barn Loft. 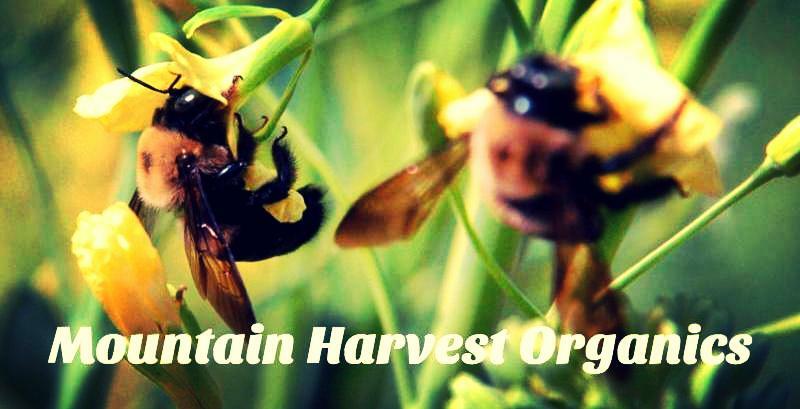 You will probably need to white list our email to receive correspondence from us because we have changed our email from farmer@MountainHarvestOrganic.com to Farmer@MountainHarvestOrganics.com (our email is organics plural). NOTE: Your’re receiving this eNewsletter because you’ve either been a subscriber to MHO in the past OR if you’ve registered for our newsletters from our website. Feel free to unsubscribe if you no longer wish to receive this eNewsletter! CSA Shareholders: You can access our online store using this link, if using a desktop you will log in by clicking the icon of the person in the top right hand side of the web page, if you are using a phone click on the menu icon and choose the login option. All orders need to be placed by Thursday at 8 AM so that we will know what to harvest for your share! Please return your boxes because we re-use them. All orders need to be placed by Thursday at 8 AM so that we will know what to harvest for your share! Please return your boxes because we re-use them. What is new and abundant this week! made with Ms. Sassy’s milk and blueberries gifted to us from Douglas and Alice!!! We’ve had guests who recently suggested that we make frozen yogurt and sell it to those who are visiting the area in a “Farm Store”. 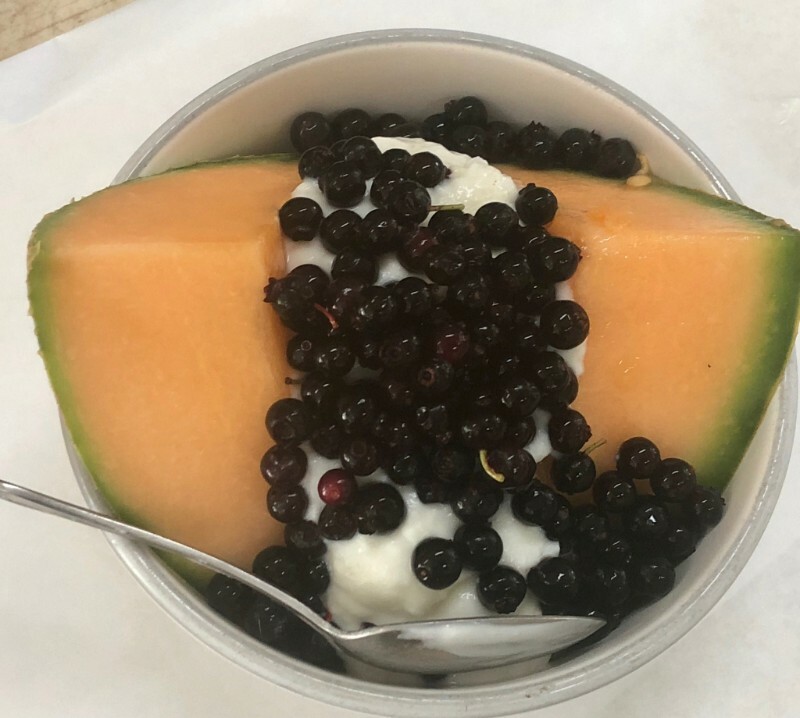 We’re not sure we’re up for the expense and time that it would require for becoming a Grade A dairy in order to sell frozen yogurt, but we will continue to make this healthy treat for our pets. Recently, we received this article in our news feed that many people believe they are eating “healthy” by indulging in yogurt. After all, isn’t it packed full of probiotics? This study found that, “Sugar accounted for the majority of total calories in all but natural or Greek yogurts.” We’re lucky that the pets enjoying MHO’s yogurt aren’t fed all that extra sugar. In fact, we NEVER add sugar to our yogurt, and were surprised that manufactures add a lot of additional sugar to yogurt. It seems that our yogurt is extremely flavorful without the addition of sugar. The study about sugar added to yogurt goes on to say, “in 2017 when the U.K. government announced the top nine food categories after sodas, juices, and smoothies that contribute to children’s sugar intake, and yogurt made the list”. The tomatoes continue to dwindle in production so we are reminded that the time is soon approaching where we won’t be eating another good tomato for 7 months!!! We tend to eat seasonally, so we don’t purchase tomatoes during the winter and just this month the NYTIMES published this article, “The last great tomato salad of the year“, it happens to suggest this “Tomato Salad on Cumin-Spiced Yogurt” salad which is one we’ve never made before so we decided we’re going to give it a try before tomatoes are totally gone for the season. Those of you who have been receiving a share from us for both the Summer and Fall, will notice that the fruits are smaller than at the beginning of the season. The plants life cycle starts out growing quickly, with large fruit, then as the season progresses, the plant is not growing or flourishing as much, so the fruits become smaller. This is normal, in industry the last fruits are used in sauces, so we hope you don’t mind receiving smaller fruits in your share because we want you to enjoy every last tomato of the season along with us. Were reminded that very soon it’ll be another 7 months before we enjoy one of our favorite “go to” lunches!!! 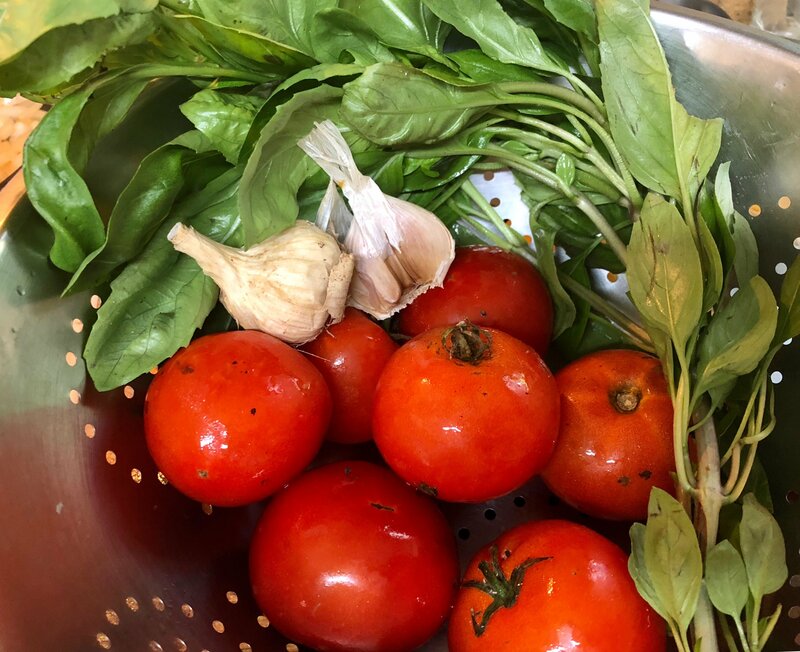 We love taking fresh tomatoes, basil, garlic and tossing it with pasta and Parmesan because this lunch is quick, refreshing and provides the energy needed to tackle the weeds. 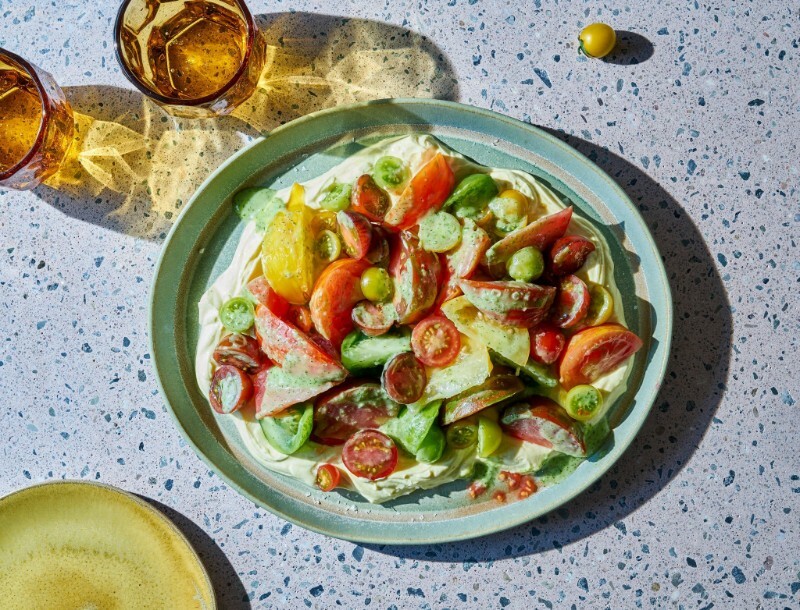 This dish really isn’t about the pasta, because many times this combination of deliciousness becomes a topping for roasted eggplant, a dip for bread, but the essence of this dish is the fresh tomatoes. 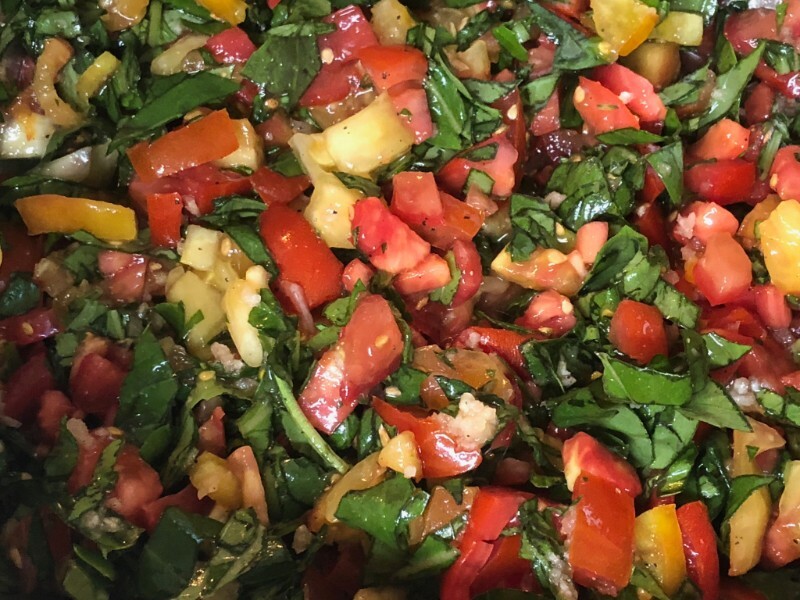 Typically at the beginning of each week we make a big bowl of the tomato/basil/garlic mixture and it is then added to our various meals throughout the week. Above these less than perfect tomatoes, garlic and basil became lunch with fresh tomato sauce, pasta and Parmesan becoming a perfect quick, healthy and refreshing meal. We’ll soon be missing these vegetables during the winter!!! Tomatoes: Slicing Tomatoes. We’re still able to include a few slicing tomatoes in your share and hope you aren’t yet tired of eating tomatoes each week. Peppers: Sweet Italian. These are smaller but still SWEET. You will notice that as the season progresses, the plants will no longer produce fruits that were as large and beautiful as when the plants were young. The plants are like the farmers, as they age, they peter out. Radishes: Daikon. Perfect sliced for salads or buttered for a snack. Turnips: Hakurei: These salad turnips are delicious raw in salads or easily roasted. Leeks: Smaller than than those harvested earlier in the season but still delicious These are amazing just caramelized and used as a topping for almost anything. You may enjoy this simple salmon recipe using leeks and tomatoes. Basil: We are including small bunches for Thai Basil just in case you want to make spring rolls. Butternut Squash : Great sliced and grilled or roasted. This season the groundhog ate most of the large squash but left a few for us. I guess we’ll take what we can get. Store in a dark place like your pantry. You will not want to put this in the refrigerator. Greens: Cabbage. Super tender and great in a slaw along with daikons, peppers and turnips. We had a huge snail infestation so we stripped off a lot of leaves that were eaten. This will store in your refrigerator for a little while. Greens: Baby Bok Choi. These are tender and sweet!! This green is so good in a salad or roasted. There is a possibility that we will include large bok choi if the baby doesn’t hold until harvest. Eggplant: Globe or Asian. The season is winding down for this versatile vegetable!! We enjoyed a curry this week with bok choi, eggplant, turnips and daikons this week. Italian Sausage: Great on the grill, sliced for “meatballs” along with your tomatoes and basil. We’ve got some cute pigs that we’re happy to be spoiling!! Meet Jip and Janneke, named after a story book that is a favorite of Danielle, a guest from the Netherlands. 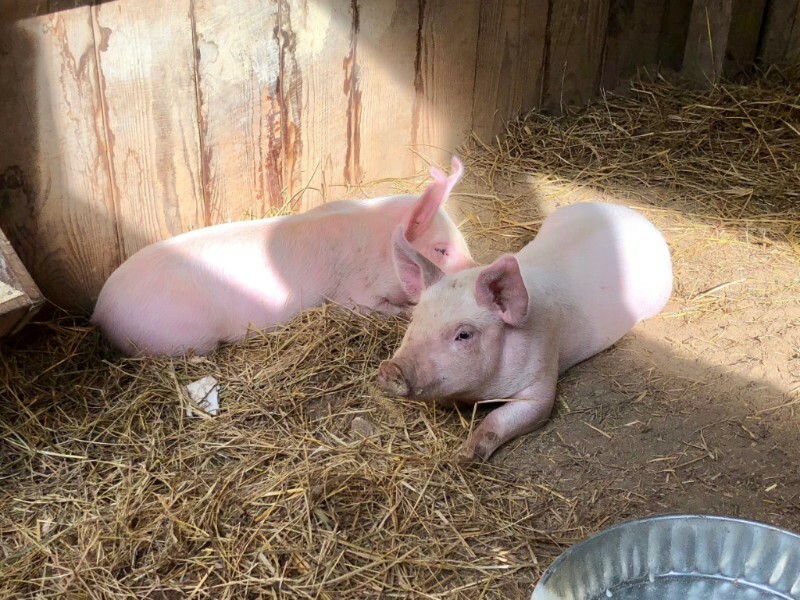 We got these pigs from a craigslist ad, and happened to get the runts, but they seem strong and happy. We’re lucky enough to be able to spoil them by letting them root around in a large pasture and daily treats of Ms. Sassy’s milk. Right now we are leaving them in their shelter, just until they get to know us, then we will let them out into their pasture. We grow our pigs much slower than industry pigs, mostly because since they roam a large pasture, they’re burning off calories and gaining muscle mass, rather than just lying around gaining weight. We hope the strawberries are going to be very happy!!! Our manure spreader has been broken for several years, that means the farmer’s are the “manure spreaders”, so thankful the farmer’s are not yet totally broken down!!! CSA Shareholders Joe and Ellen sold us a trailer that is just the right width to straddle our beds, so we are happy to have spread approximately 10 tons of vermi-compost for the strawberries and garlic. 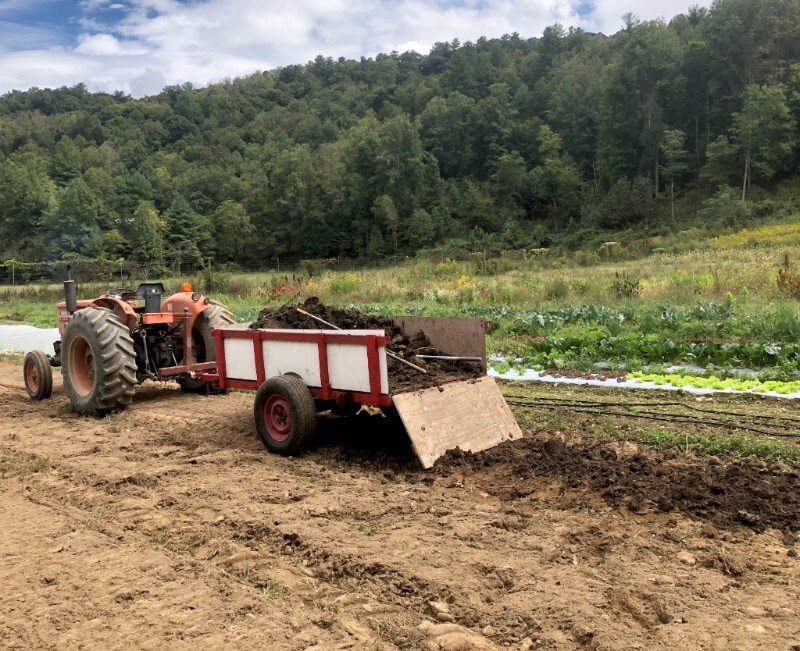 In an organic farming system, we are always trying to “feed the soil”, using both cover cropping and compost made from our animals manure and vegetable scraps. 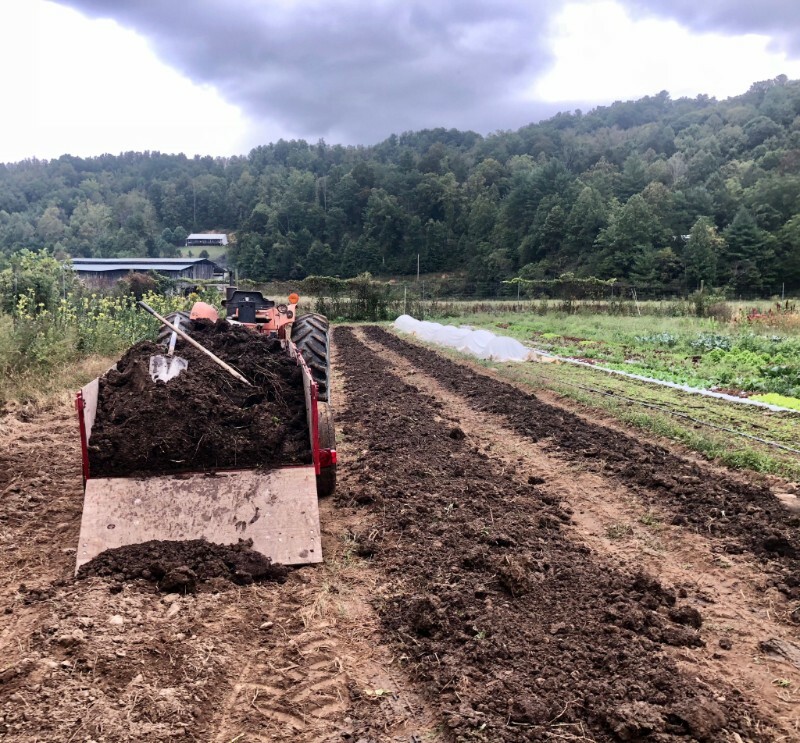 This compost provides us with a boost of phosphorous and nitrogen, and on top of that, since we compost that manure for a year using worms to break down the manure, we get a boost of all kinds of microbial life and micro-nutrients from that compost. Look at all that manure!! That trailer full of compost is a beautiful sight to the farmers, so hopefully the strawberries and garlic feel the same way!!! We are lucky enough that Joe and Ellen’s trailer is very sturdy, so that we can load it up, then manually spread it across the bed. You can see in the photo, to the right of the trailer, is a couple beds where the compost has already been spread. One reason for having animals on this small farm, is to help in building our soils and feeding the crops that grow the food. This entry was posted in CSA, Pigs, Weekly Farm News. Bookmark the permalink.